All hail Sezar! | 15,000kms of Food! How is it possible that I’d never heard of Sezar up till last week? The food here was brilliant! Hidden in an alley near chinatown, Sezar serves Armenian food. I’ve never eaten Armenian food prior to this, but I’m now a fan! 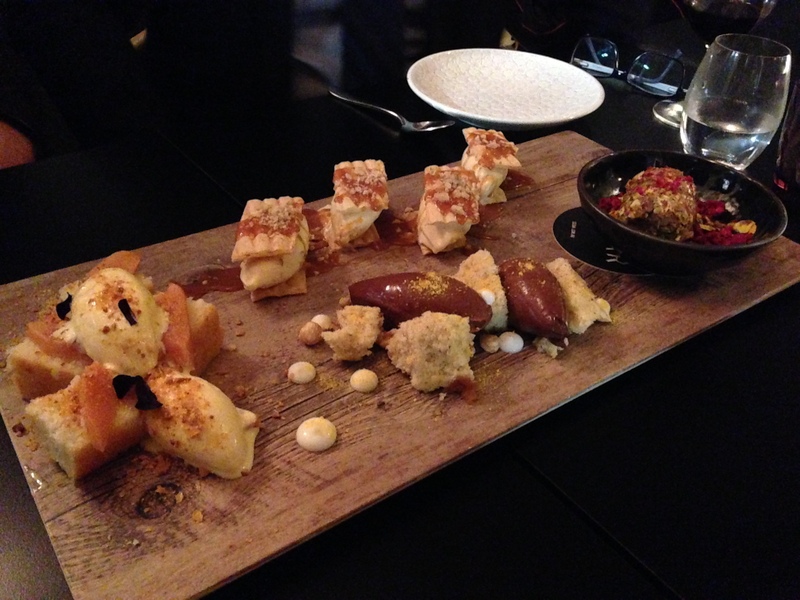 We went for the $65 tasting plate, which includes a dessert platter. 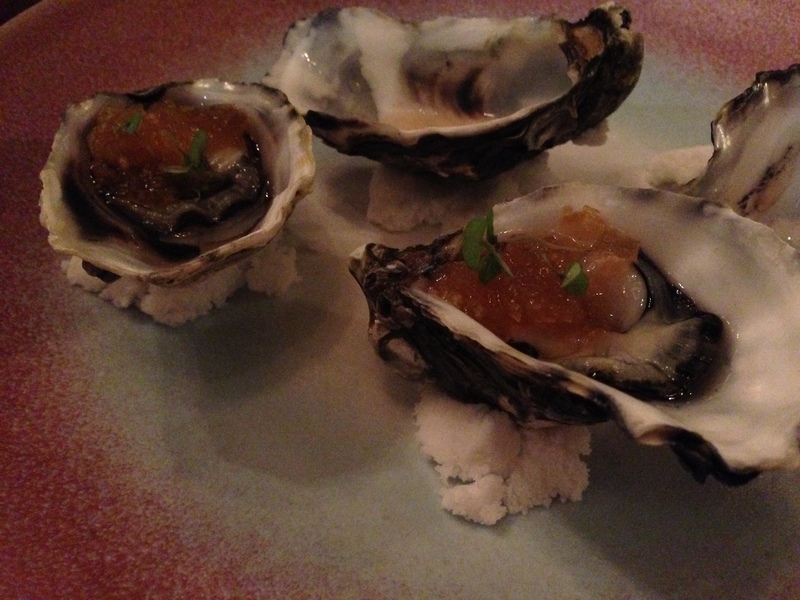 Started with “OYSTERS with compressed apple & anise“. 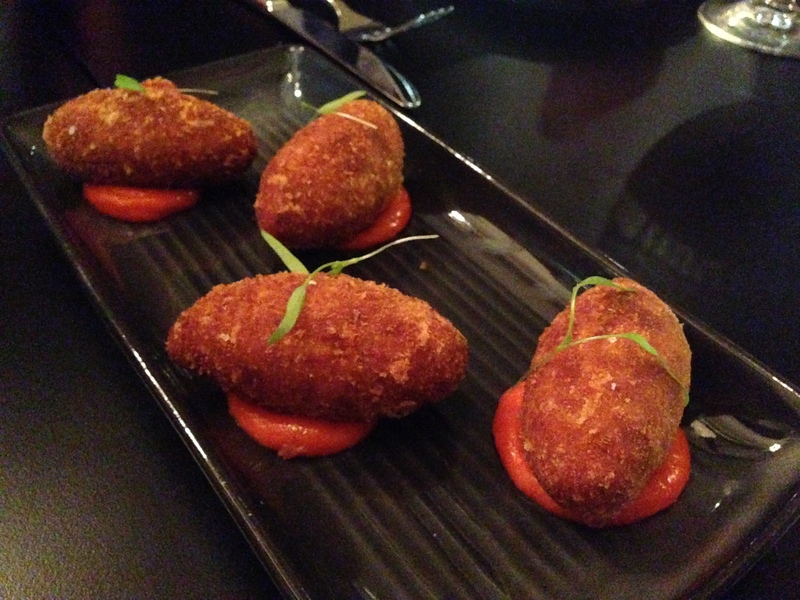 We then had the super crispy “CRISPY POTATO & SOUJAK KOFTE with red pepper aioli“. Definitely a winner. The “SPINACH & FETA BOREG with Aleppo mayo” was amazing! Crispy light pastry wrapped around a very yummy filling. And another healthy (and delicious) option of “CURED OCEAN TROUT with apple & fennel salad, crème fraiche & roe“. Now, I believe the next dish we had was the “BBQ WAGYU TENDERLOIN with garlic yoghurt & lavash“… and it was the best dish of the night for me! The meat was tasty and soft and I loved it! If you can believe it, we now move on to the mains… yep, there was a lot of food. The “SPICED BBQ CHICKEN with bulgur, corn and herbed yoghurt” was great. Lucky last was “GLAZED PORK with purslane, pomegranate & radish salad” and it was wonderfully glazed, sweet and sticky. The dessert platter was amazing and I was a very happy camper. It consisted of: NEW STYLE BAKLAVA with crispy filo, walnut toffee ice cream & salted caramel, VANILLA PARFAIT with strawberries, pistachio & rose water syrup, SEMOLINA CAKE with slow cooked quince, almonds & crème fraiche ice cream and SOFTENED CHOCOLATE GANACHE with cardamom cake, hazelnuts & orange blossom cream. All were wonderful! This place is great. Good value for money, great service and most importantly, fantastic food. Can’t wait to go back!